Green Markers – sub-sites for collecting information on crop location and yield. Red Markers – sub-sites for intensive measurement of biophysical parameters. Fig 3. 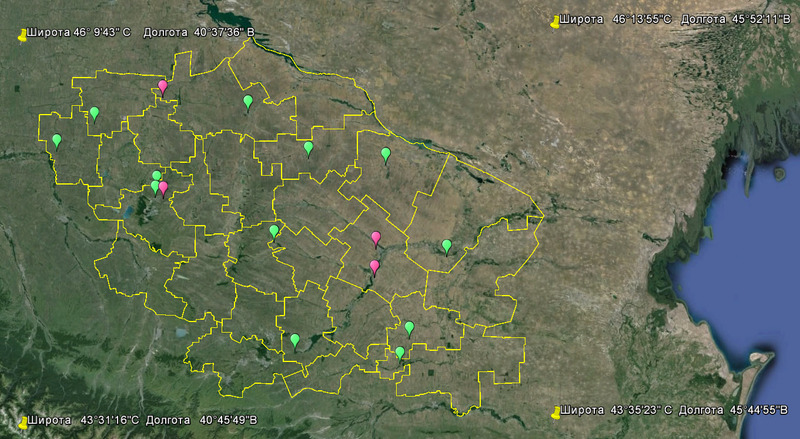 Sub-sites of the Stavropol Research Institute for Agriculture. Other Site Specifications: High potential risk of wind (95%) and water (82%) erosion; joint manifestation of both types of erosion is 77% of kray territory. 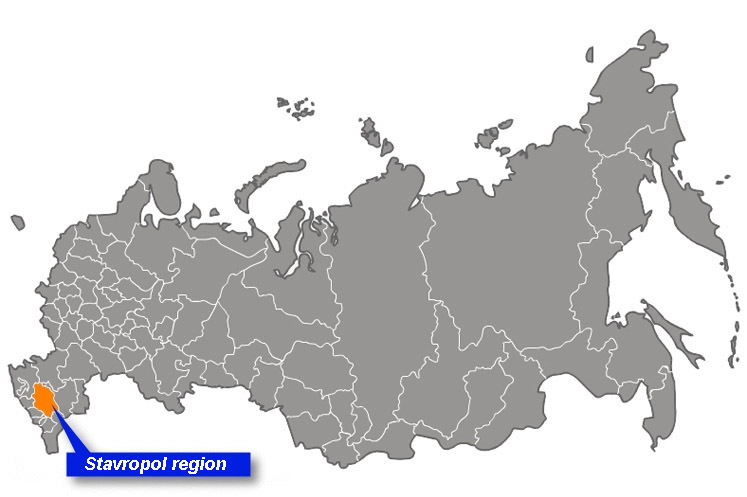 Large areas in Stavropol kray are affected by salinity of various degrees with chloride-sulphate, sulphate and sulphate-chloride type of salinity. Agricultural methods used: Crop types are spring/winter wheat, spring/winter barley, peas, soybean, sunflower, winter rapeseed, perennial grasses. Typical crop rotation is: fallow/peas – winter wheat – winter rapeseed – winter wheat. Farming methods are no-till and tillage-based. Large areas are affected by salinity of various degrees with chloride-sulphate, sulphate and sulphate-chloride type of salinity.